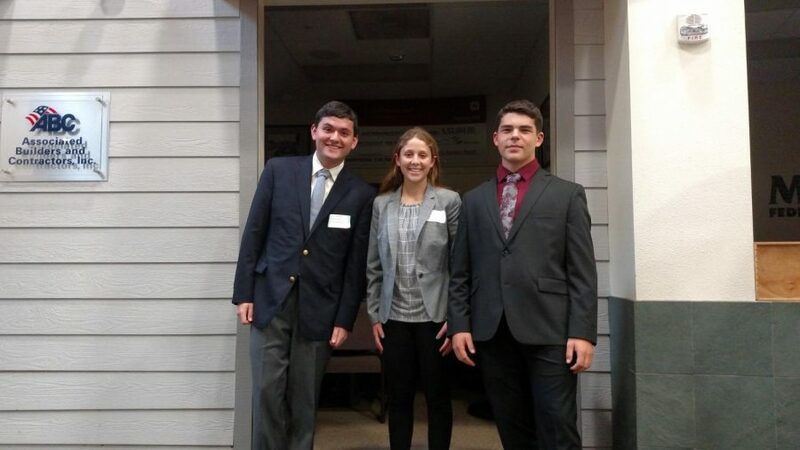 SDA students attended the Junior Achievement program’s business competition on May 1, where they won Best Innovative Business Commercial and placed fourth overall for their business, Intego Sportswear. The business was created by sophomore Ethan Hirschberg, and juniors Alexandra Joelson and Griffin Clark. The student creators of Intego Sportswear are in the Business Ownership and Management class at SDA, which has helped produce 15 student businesses in 13 weeks, according to Business and Social Sciences teacher Oly Norris. Intego Sportswear was the only student business at SDA that applied to participate in the Southern California division of Junior Achievement competitions; and, they were selected to join a pool of 12 others from around the county. According to Norris, the application and preparation process was extensive and required “putting together a trade show booth with a detailed business plan, a one minute commercial, and prepare for a shark-tank style pitch,” which mimicked the TV show. Once teams gathered at the venue–the Junior Achievement San Diego Headquarters, which also houses Biz Town (an elementary school program that lets kids pretend to work at different businesses)– they were confronted by three groups of judges that asked them questions and assessed their business. These judges included CEOs and CFOs of major corporations in San Diego, including Qualcomm, Fidelity and Otter phone cases. “There are some amazing trade show booths and ideas that have really been developed to where the product is ready for market,” Norris said praising the teams at the event. The teams then had dinner, and eventually went to give a Shark Tank-like presentation that lasted about six minutes and was followed by four minutes of questions. “It was extremely rewarding for me to sit back and watch all the effort that my students have been putting in everyday and outside of class get recognized by these judges, who are CEOs and CFOs of really large businesses here in town,” said Norris. “These two are true inspirations who bring out the best of me and I am so lucky to be able to know both of them,” he added. Intego Sportswear’s fourth place finish qualified the business to be considered to attend the national Junior Achievement competition in Washington DC. The team will find out if they are chosen by May 14, and if selected, will present their business to the United States Senate and the House of Representatives. If they finish in the top three of that level, they will meet with the president. Though competitive, Norris said an SDA business made it to DC two years ago, where they finished fourth, causing them to barely miss meeting with former president, Barack Obama. While they did not meet the president, they made many helpful connections, Norris added. “I’m really hopeful that they are going to get selected and go,” he said.